The Anritsu embedded OTDR series is designed to integrate industry leading OTDR technology into any standard PCI or cPCI bus. Our high resolution, high dynamic range test systems are ideally suited for both short and long haul testing or monitoring applications. OMETS OTDRs are available in several wavelength and dynamic range combinations to handle virtually any application - single-mode or multimode, “dark” or “active” fibers. All of the OMETS are designed for easy hardware integration with any standard PC featuring a PCI/PCI-x bus or rack-mounted PC chassis featuring a cPCI bus and feature a software developers kit (SDK) to initialize and operate the modules. Simply create your own user interface, using the included demo utility as a guide, to provide state of the art OTDR performance with your personalized GUI. The cPCI version is a self-contained OTDR module featuring the optics and data acquisition unit DAU integrated into a single 6U-8HP card with status LEDs. It can be installed into any cPCI chassis in seconds and features hot swap capability. 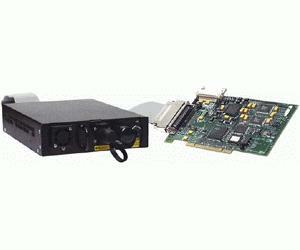 The PCI version includes the PCI/PCI-x bus interface card, ribbon cable and optics module that can be mounted into an unused PC drive bay or as a stand-alone unit for desktop use.